Vaccines do an incredible amount of good versus whatever rogue side effects have been suggested, largely by the nonscientific community. This goes for your pets, too. There's been some controversy on whether cats actually need annual shots, and the general consensus — among some, but not all vets — is that if your cat is strictly indoors and doesn't come into contact with other cats that may have feline leukemia, you can probably skip a year or two on vaccinations. Pet-care author, Kelly Meister-Yetter, affectionately known as the Critter Lady, says she has four indoor-only cats and she doesn't have them vaccinated every year. If your cat is to be boarded, however, virtually every establishment will require updated shots. Dogs, however, are a different story. "You should never skip dog vaccinations, especially the rabies update shot every year," Meister-Yetter says. And some rabies vaccinations are good for three years. "Dogs can get into all manner of mischief, and it's always best to keep them safe." A pet parent should never skimp on vet care, which should include a yearly physical exam. Not only does the examination allow your veterinarian to assess the overall health of your pet, it also creates a health care team for you, the pet parent. "When the pet is sick or injured, they will be worked in right away with someone who knows the pet and has its medical history, known medications and allergies, everything," according to Kathryn Primm, resident veterinarian at pet wellness site IHeartDogs.com. Vet care shouldn't be used as an emergency resource, but rather an established method of preventive care, from the moment you adopt or decide to bring a pet into your family. House Call Vet NYC Dr. Jeff Levy, whose practice specializes in holistic pet care, says regular checkups combined with a reasonable vaccination protocol can prevent unforeseen and costly medical problems throughout your pet's life. This preventive care can save you a substantial amount of money by addressing potential problems before they reach a stage that you may not be able to afford. Pet insurance, though it may seem costly over the span of your pet's life, will spare you money and heartbreak in emergency situations that can cost thousands. My own dog had a respiratory issue very early on, the surgery for which crept upwards of $10,000. It's horrible to say, but if I didn't have pet insurance for him, we wouldn't have spent the past seven years post-procedure enjoying each other's company. Pet insurance saved his life. Jamie Thomas, executive director of Motley Zoo Animal Rescue in Washington State, says she experiences the consequences of uninsured pets on a regular basis. "We routinely see animals surrendered for something as simple as a broken leg — [which costs a pet parent] about $1,500 to $2,000 [to mend]," she says. "This is really avoidable and it breaks our hearts. All it takes is one accident where your cat gets out the door and hit by a car, or your dog gets injured by another, and you might be facing euthanization rather than care and treatment, simply due to expenses." 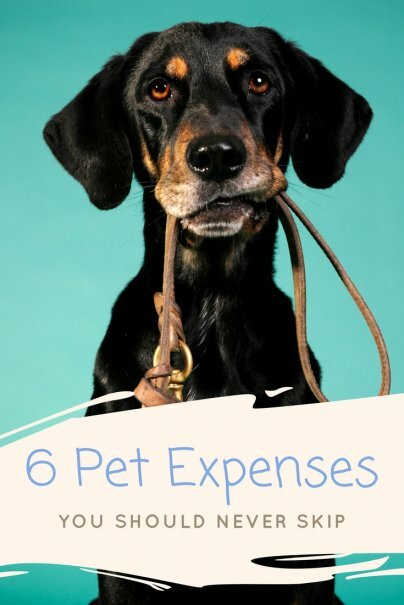 Outside of pet insurance, it's also a good idea to have a small emergency fund set up for your pet, just in case. And as your pet ages, certainly you can reconsider your insurance coverage. You may decide that your pet doesn't need a high level of coverage or coverage at all as it enters its final stages of life, but that's a personal decision you'll have to make. Be mindful of your pet's diet, and don't skimp on their food. This doesn't mean following the latest fads or advertising. Consider your veterinarian's professional opinion and conduct your own research using authoritative sources. I'm a pretty lucky pet parent because there are plenty of dog parks, beaches, and even dog-friendly happy hours where I live that my best fur-buddy and I can go to socialize and get regular exercise, and it's all free (except for the beers, of course). This is probably the case for you as well (a quick search will find all the dog-friendly places in your vicinity), and it's important to utilize these community assets so your pet can make friends and play. "While cats are often solitary animals, dogs thrive on social interaction; invest your time, effort, and resources into enriching your pet's daily life," Dr. Levy advises. "Both species need exercise to keep their bodies healthy. For cats, invest in toys and dedicate time to daily play. Dogs should not stay home alone while you are at work, so pony up for a walker or daycare." A lot of pet parents manage to raise friendly, gentle, loving dogs without the assistance of trainers. The problem is, you never really know how your pet will turn out as an adult based on your specific combination of nature and nurture, which makes it a good idea to invest in formal training. Thomas says, "Many people rely on the breed of dog — 'good family dogs' — and think they don't need training, or think that hanging out with the family is actually socializing their dog. But investing in a better understanding of what training entails and how to communicate effectively with your dog, as well as how to truly socialize your dog, will be a priceless experience and can truly be the difference between keeping your dog or not. If people invested as much time and attention into these factors as they do researching a dog breed that will be perfect for them, they'd be more successful — and find many more dogs that would actually work for them."